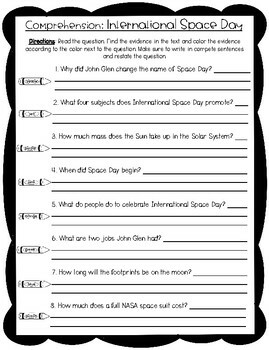 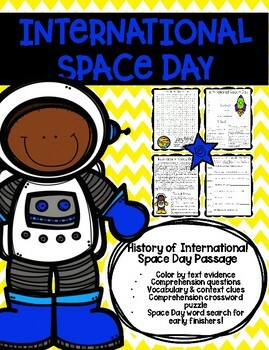 Celebrate International Space Day with your students using this engaging reading packet! 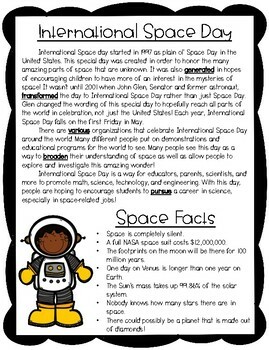 By the end of this packet, your students will be able to understand the history of International Space Day in an exciting way! 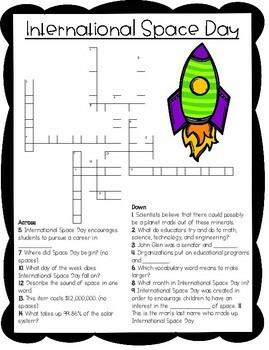 --a International Space Day word search for early finishers!